Attendees at a Booknotes event at the Ronald Regan Library. · One Book. One Author. One Hour. Attendees at a Booknotes event at the Ronald Regan Library. 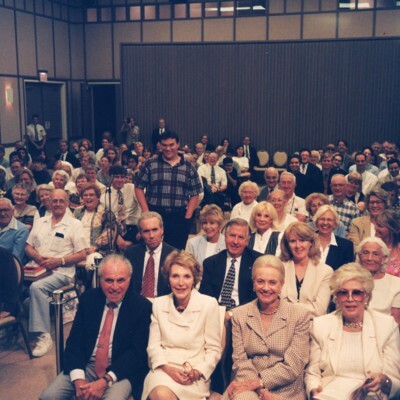 Brian Lamb, 1941-, “Attendees at a Booknotes event at the Ronald Regan Library.,” One Book. One Author. One Hour., accessed April 24, 2019, http://booknotes.gmu.edu/items/show/3009. 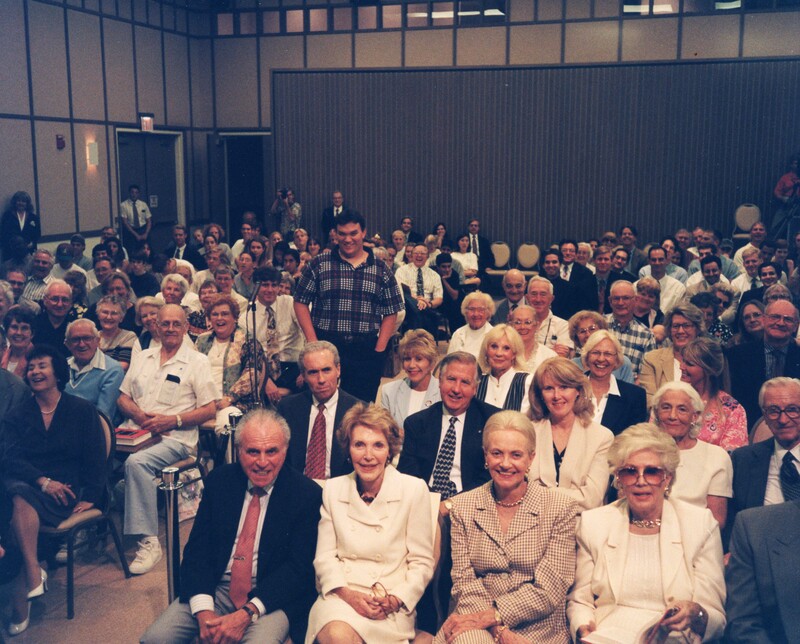 The crowd at one of Brian's promotional talks about Booknotes, at the Reagan Presidential Library in Simi Valley, California. Former First Lady Nancy Reagan is in the front row, next to Charles Z. Wick, former head of the USIA.